The oldest mountain range in all of North America, the Appalachians have been molded by a half-billion years of geology, and the 2,189 miles of the A.T. showcase this range in its entirety. The Appalachian Trails’ signature rectangle white blazes line the trees of 14 states as it weaves a path through six national parks and eight national forests. At its southern end it traverses a temperate rain forest through the mountainous sections of Georgia, North Carolina, and Tennessee. This section is renowned for its rich diversity of plant and animal life. Here, rhododendron and mountain laurel line crystal clear mountain streams that teem with salamanders and native brook trout. 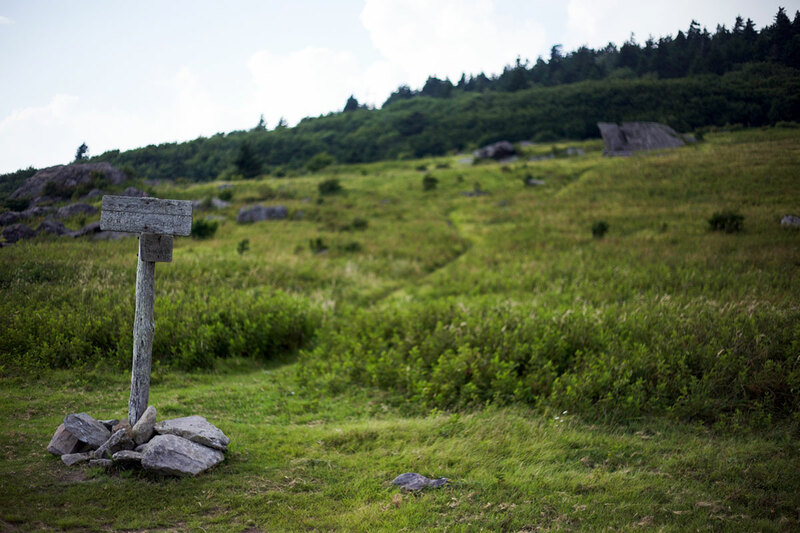 Many of the summits along this stretch of the Appalachian Trail are heavily forested, but rocky balds offer stunning views of the Blue Ridge Mountains and the Smokies, regarded by many as the toughest stretch of the A.T. 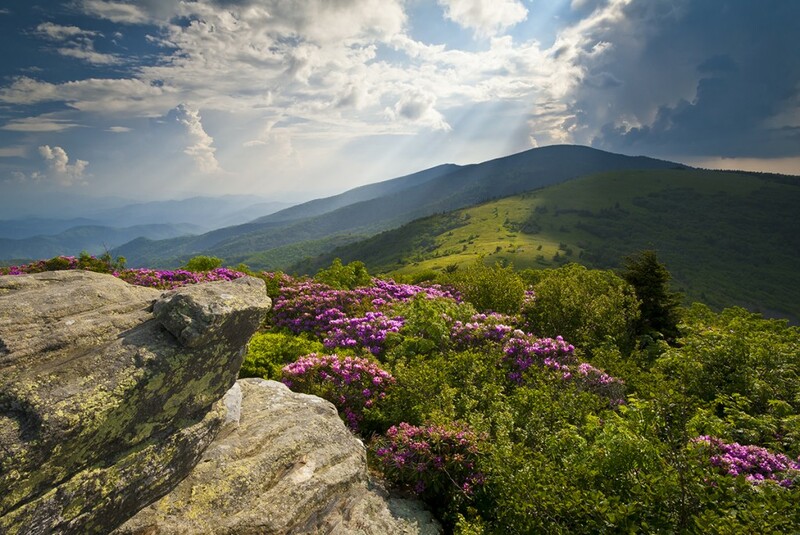 The 72 miles through Great Smoky Mountains National Park includes Clingmans Dome—the highest point along the A.T.
Rhododendron blooms along the A.T.’s Roan Mountain ridges. Yet the Virginia Highlands offer a considerable amount of splendor and scenic beauty. 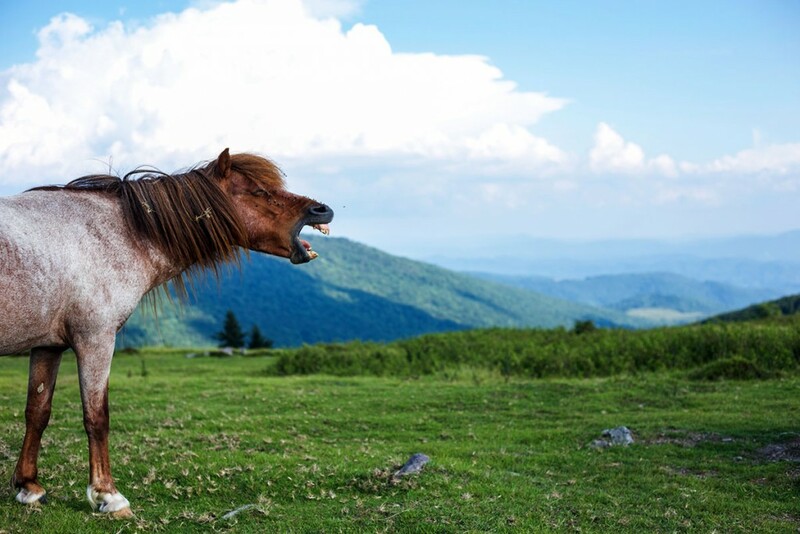 In the southwestern part of the state you’ll find Mount Rogers, renowned for its most famous residents, the wild ponies of the Grayson Highlands. Above Mount Rogers, in the central part of the state is the famed Shenandoah Valley, home to Shenandoah National Park and some of the best vistas in the Blue Ridge. At Harpers Ferry, West Virginia, northbound thru-hikers finally arrive at the Appalachian Trail’s psychological halfway point, but they’re not in West Virginia for long. The trail only runs through four miles of the state before moving into Maryland then on to the notoriously rocky ridges of Pennsylvania. After Pennsylvania, the A.T. winds its way into the Garden State. Though close to large urban centers like New York City, the Kittatinny Range of New Jersey is more remote and rugged than you might imagine. It’s also home to an active bear population. In the state of New York, the trail drops to its lowest elevation point at just 123 feet. The final leg of the Appalachian Trail is home to some of its most challenging and forbidding terrain, but the payoff is huge. At this point hikers still have four states to conquer. In Connecticut, the home state of A.T. visionary Benton MacKaye, the trail meanders for 50 miles through the Housatonic River Valley before entering a 90-mile stretch through the Berkshires of Massachusetts. In Vermont and New Hampshire, the hiking becomes more daunting as the trail ascends the crest of the Green Mountains along 100 miles of the famous Long Trail. 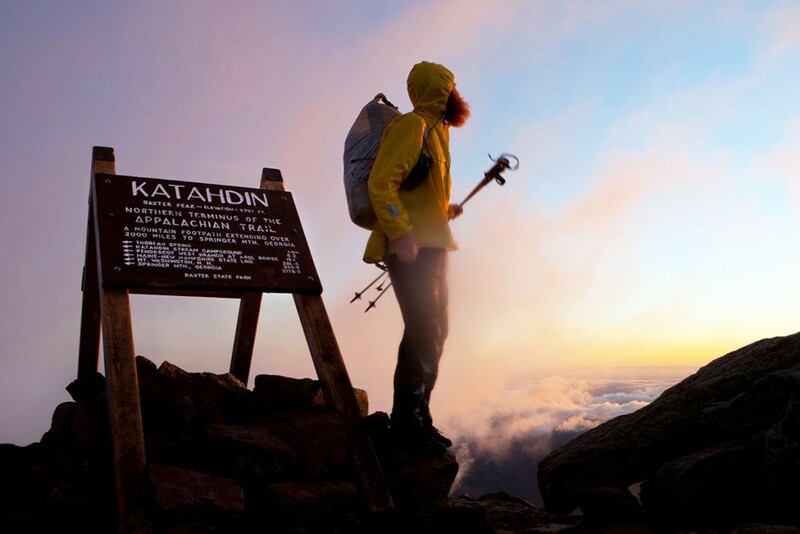 By the time hikers encounter the White Mountains, sweeping vistas and rocky, rugged terrain abound all the way up to the A.T. northern terminus: the summit of Maine’s Mount Katahdin.